We can meet all of your construction, developer, or builder gift-giving needs. If you are looking for construction or builder themed gifts for trade shows, promotional events, anytime giveaways, small business gifts, corporate gifts, client gifts, or any other type of gift, we have many edible construction themed and builder themed gifts. Let us help you find your construction or builder gift within any budget today by calling 602-526-0963. The Gift Planner provides unique custom, one-of-a-kind corporate gifts and construction themed promotional products. Business gifts designed to represent your company and brand message. Stand out in the exhibition, convention and trade show areas. The idea is to spark conversation with potential partners, clients and vendors, right? Leave an impression that will be positively attached to an emotional response, and you will land your next BIG client! Let our team show you what we mean with our personalized service! 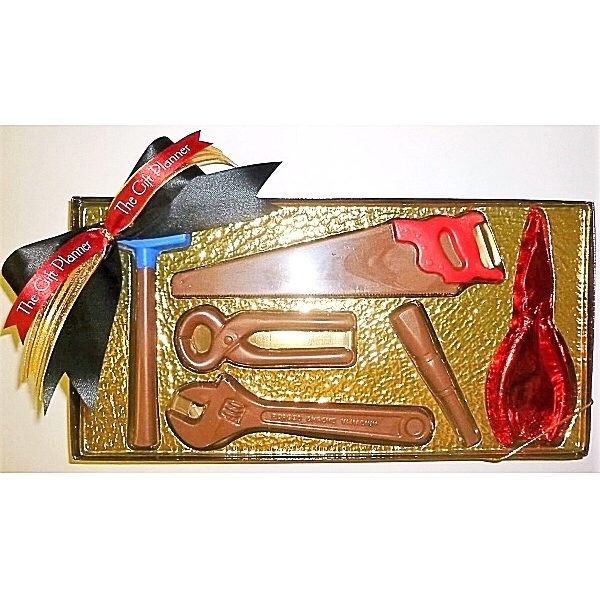 This delicious 6-piece chocolate tool set makes the perfect themed gift for contractors, construction companies, builders, architects and tradesmen. Approximately 8 oz. of delicious chocolate, available in milk or dark chocolate. Customize with imprinted ribbon and bow color of your choice. Let us represent your company with your corporate colors and logo. Set Up Fee For Ribbon Imprint $60.00. Heat sensitive months will require expedited shipping to areas that require more than 2 ground shipping transit days and may require a $10.00 thermal lining and refrigerant (per shipping carton) fee. 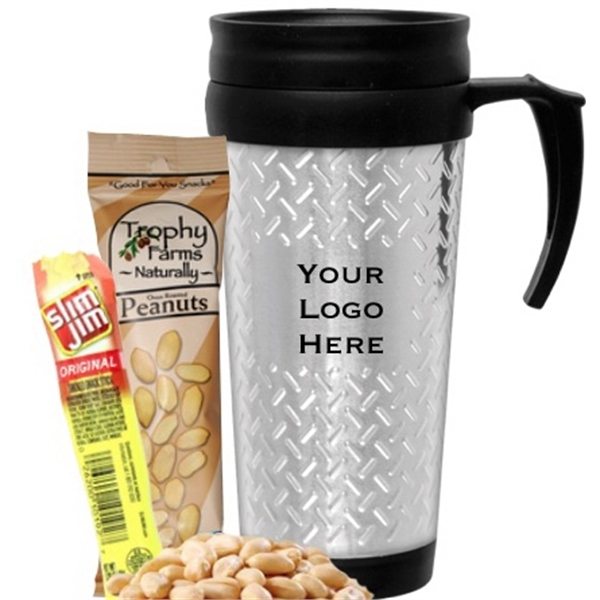 This unique tool box design travel tumbler packaged with savory snacks which include peanuts and classic Slim Jim. 14 ounces Unique design to match truck tool boxes. Stainless steel exterior. Stain resistant insulated black plastic liner. Twist on/slide open black plastic lid. Each tumbler is wrapped in clear cello and tied with a bow for a gift presentation and easy distribution. Shipped bulk or to individual addresses. Can be customized to fit your event needs. A real mechanics toolbox pencil cup made out of 24 gauge cold rolled steel and measures 4" x 3.25" x 3.25". This gift is filled with 3 milk chocolate tools of the trade, hammer, saw and wrench, and 6-8 white chocolate dipped and decorated mini pretzel rods, 2 foiled chocolates and one in cello. Tied with imprinted ribbon. Ribbon and decorations available in your corporate colors. This gift is great for thank you, holiday or appreciation and makes the perfect themed gift for any construction worker, contractor, engineer or handyman. Put a twist on a classic! This squeaky rubber duck comes dressed as a construction worker in helmet and safety vest. This is the perfect promotional product for builders, construction companies and safety workers! This item can be ordered as blank stock or customized to your specifications. A unique product that is sure to be a hit! This reflective vest can keep you safe in the darkness. It consists of a vibrant background color and may be equipped with two vertical, one horizontal reflective stripes in front, and reflective stripes in back. It's perfect for traffic controllers, crossing guards, parking operators, road crews and other outdoor workers. Sized to fit all. Customize with an imprint of your company logo for maximum brand visibility. Hard-working construction workers will appreciate having this safety vest. Contractor's monthly planner is wire-bound with a leatherette cover. Format: month to a view with rules. Features a 16-page section of construction-related tables useful for contractors: personal information, 3-year reference calendar, future planning, special dates, important dates, forward year planner, investment record, dividends and interest record, expense summary, tax deductible payments, metric equivalents, and more. Need a hand...then choose these 5-piece screwdriver kits for your next promotional marketing campaign! Available in translucent blue with a spring loaded door, the contractor's necessity includes three Phillips and two flat head screwdrivers. With your logo imprinted on this handy tool the finished product would make an excellent tradeshow giveaway or a great gift for new clients. Perfect for promoting a start-up contracting business! 25-foot retractable tape measure. Standard and metric measurements. Rubber casing. Rubberized wrist strap. Slide locking button locks tape in place. Metal belt clip on back. When you want to work your way into your clients' lives, try this rotary barrel screwdriver set! It comes with #0 and #1 Phillips heads, #2 and #3 flat heads and T6 and T8 Torx bits. Simply rotate the barrel to select Phillips and flat head bits. Sliding the handle down will expose the Torx bits. While in use, a magnet holds the bits in place while they are being utilized. This is perfect for construction workers, hardware shops and any other job where people work with their hands and hardware! Pallet, Miniature Imprinted (2.75" x 2.75"). 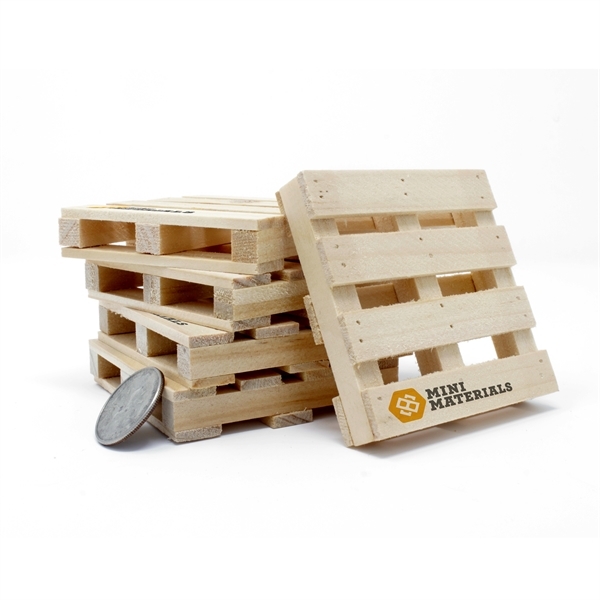 Truly unique promotional item that looks and feels like a real pallet. Imprint with a company log for an item that will stay on clients desks as they can be used as a coaster. Real wood. This reversible 6-in-1 screwdriver multi-tool features a 5/16" standard and 1/4" standard flat blade screwdriver, a #1 and #2 Phillips head screw driver blade plus a 1/4" and 5/16" Hex Driver tool tip. The screwdriver blades and hex tips are both nickel-plated and heat treated to produce high quality tempered steel screwdriver blades and measures 7 1/4" x 1 1/4". Customize this American made reversible screwdriver with a screen print imprint for added appeal. Magnetization of screwdriver Hex Bits is not available. Mix things up during your next campaign with this concrete mixer shape stress reliever. Stress relievers are great for last minute creative promotions. Measuring 3 1/4" x 2 1/2" x 1 1/2", make a statement and add a little pizzazz with your logo and message! This is a terrific way to promote your business. Safety tested and intended for adults or for general use by consumers of all ages. Not intended for children under three years old or for pets. Give your customers a little bank with something sweet in it! Your customers will be delighted to open this house themed paper bank and find a 1 ounce pack of Skittles candies inside. Offer your clients the ultimate in relief with this porta-potty shaped stress reliever! Measuring 2" x 4" x 2", they will flush away stress and provide a few laughs along the way but will leave a memorable impression with your customers. Ideal for porta-potty and construction companies, add your custom imprint for brand exposure. Even outdoor event promoters can have fun advertising with these! Not intended for children under 3 years old or pets. Take your name brand on the road! This 1/64 scale replica of a crawler excavator is ideal for promotions involving construction, building and land - the die cast vehicle is a miniature model of the equipment used for digging and moving heavy materials. 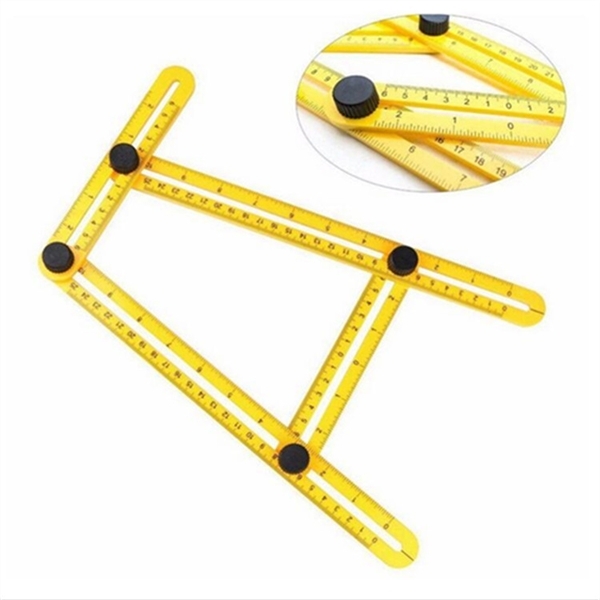 Measures 3" and features movable parts. Customize with a one color pad print imprint in one location and hand out at your next marketing event! Can also be sold unimprinted. Give them multifunctional power that's ideal for home repairs and more with the Field & Co. (R) Mini Multi-Tool. This 7-function tool features a flashlight, two knife blades, a Phillips head screwdriver, a flat head screwdriver, a bottle opener, and pliers with a Field & Co. (R) carrying case. 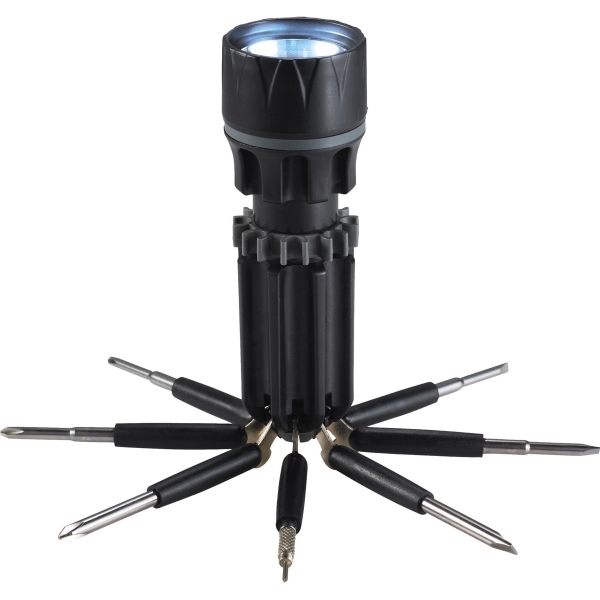 This upscale yet practical tool is ideal for corporate promotions, contractor gifts and more. Add your debossed imprint and create something that anyone will be glad to keep on hand. Streets departments and construction companies can benefit from this giveaway! Our Light Up Safety Cone Key tag is equipped with a high-powered LED light that will attract a lot of attention. The product also comes equipped with a key tag so you can take it with you wherever you go. You get plenty of space for your organization's logo through our print capability. Flash a friendly promotional light at your next event and you'll come out a winner! Build sales with these edible miniature tool sets! Featuring a hammer, saw, wrench and screwdriver, these shapes make the perfect gift or giveaway for renovation companies, safety awareness messages or any home related service. Each shape can be molded in delicious milk or dark chocolate. The four piece set is available in a gold or silver box with optional foil stamp. Your toolbox never looked so good! Who says there's no drinking on the job? This construction hard hat bottle opener is sure to get a few laughs. Made of plastic and metal, measures 2 1/2" and features a belt loop so it's always close by. A perfect way to promote any architecture or engineering business. Add your custom imprint and build a strong relationship with your clients. An ideal giveaway at tradeshows, conventions and conferences. This product is made of reflective fabric and polyester. 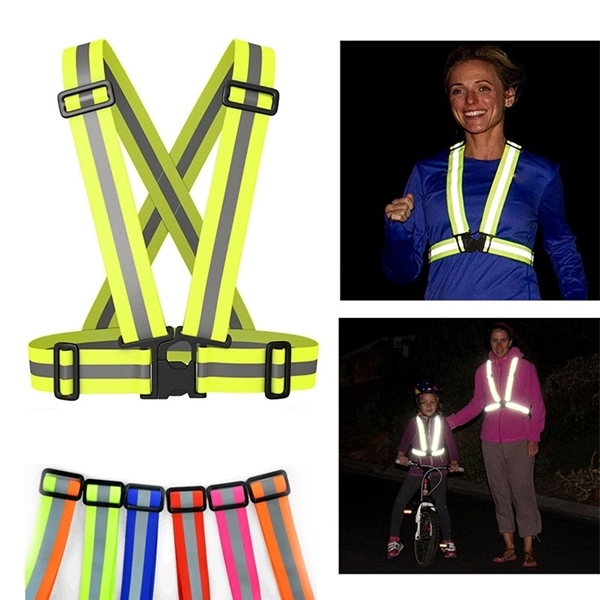 Keep your brand visible at all times with the reflective safety vest. The safety yellow color is very bright and visible, even during the day. Gives you the ability to imprint a message, slogan, or logo for all to see. Great for construction workers or late night joggers. Perfect for handing out at a ground breaking; grand opening or safety seminar, here's a sweet product everyone will enjoy! Our uniquely shaped 1 oz. hard hat molded chocolate will definitely help you build sales. Just add your logo or message to the cello wrapping and make this a promotion everyone will be excited to get their hands on! Also great for renovation companies or any home related service. Available in milk or dark chocolate. The Angle-Izer is the ultimate template tool for creating professional layouts in tiles, brick pavers, lumber and laminate. The innovative, four-sided mechanism quickly forms to the shape of your work area, which can then be used as a stencil for cutting your work piece. Break away from the competition with this memorable advertiser! Our 2 1/2 oz. gift box of two milk and dark chocolate squares measures 4 1/2" x 4 1/2" and comes with stock themed 3D pieces, your custom logo, or both. Kosher certification is available for the candy, and the silver or gold container comes with a matching stretch bow. Give this out at tradeshows, conferences, or other special events to expand your reach! Flush out the competition at your next trade show or fundraiser with this toilet shaped stress reliever and memo holder! This unique item can be customized with your logo and contact information. Measuring 1 3/8" x 2 3/8" x 2 1/2", this is the perfect giveaway for plumbers and plumber supply companies! Safety tested, this item is intended for adults or for general use by consumers of all ages. Not intended for children under 3 years old or pets. Cut down the competition with this delicious treat! This 1 oz. saw shaped molded chocolate will help you build your business. It makes the perfect mouthwatering gift or giveaway for renovation companies, safety awareness seminars or any home construction-related service. Just add your logo to the cello wrapping and make this a promotion everyone will be excited to get their hands on. Available in milk or dark chocolate - choose your favorite flavor when your order! This construction worker bear shaped stress reliever advertises your company with a cute twist. A great giveaway for adults and children alike, this is a fun way to promote your business while also helping recipients squeeze away the stress of everyday life! Safety tested, this 2 1/4" x 4" x 2" bear is intended for adults or for general use by consumers of all ages. Our products are not intended for children under three years old or for pets. 10-foot retractable, locking tape measure. Built-in level. Includes 1-3/4" x 1-3/4" yellow sticky memo pad, mini pen and metal belt clip. Locking button on bottom of item keeps tape in place. Clear flip-top cover protects memo pad. Relieve tough stress on the go with this hard hat shaped stress reliever with key chain. Ideal for construction industries and any other company dealing with hazardous materials, add your logo and hand out this giveaway at conventions or during team-building exercises! Safety tested, this 1 1/2" x 1 1/8" x 2 1/4" item is intended for adults or for general use by consumers of all ages. Not intended for children under 3 years old or for pets. These building block shaped stress relievers will be the foundation for your next advertising campaign! The building blocks for success, these 3 1/8" x 1 1/2" x 1 1/8" stress relievers will be a solid hit for any company or organization. Offered in several fun color choices, set the foundation with your printed logo and reach new customers at your next trade show or fundraising event! Sold as individual pieces not as a set. Be ready for the party, no matter where it is! This unique key tag is shaped like a wrench and doubles as a bottle opener. Ideal for keeping track of house, office, and car keys. Pass these convenient keepsakes out at your next big marketing event and watch your clientele list grow! Perfect for promoting construction companies, engineers, and plumbers. Constructed out of metal. 3 - 1/2" x 1 - 1/8" x 1/4". Shop More Construction Contractor Promotional Products!